A modern research approach and working techniques in hitherto unexamined areas, produced the following results: 1). The tongues of decakilometre long Karakorum glaciers belong to temperate ice-streams with an annual meltwater output. The short Aghil glaciers on the contrary are continental, arid and cold. 2). The present-day oscillations of the Karakorum glaciers are related to their own mass, and are contrary to and independent of the actual climate. Only the short glaciers, with steep tongue fronts, show a present-day positive balance. 3). 14C- dated Late Glacial moraines indicate a 400–800 m thick valley glacier at the former confluence point of the K2-, Sarpo Laggo- and Skamri glaciers. 4). From the evidence of transfluence passes with roches moutonnées, striae and the limits of glacial polishing, as well as moraines and erratics, a High Glacial at least 1200 m thick ice-stream network between the Karakorums and the Kuen Lun north slopes was reconstructed. The Shaksgam and Yarkand valleys were occupied by glaciers coming from west Tibet. The lowest-lying moraines are to be found in the foreland down to 2000 m, indicating a depression of the High Glacial (LGM) snowline (ELA) by 1300 m. 5). The approximately 10,000 measurements of the radiation balance at up to heights of 5500 m on K2 indicate that with incoming energy near the solar constant the reflection from snow- covered ice is up to 70% greater than from rock and rock waste surfaces. 6). 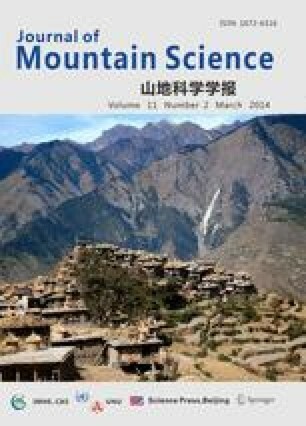 These results confirm for the very dry western margins of Tibet an almost complete ice sheet cover in an area with subtropical energy balance, conforming with the Ice Age hypothesis of the author which is based upon the presence of a 2.4 million km2 Tibetan inland ice sheet. This inland ice developed for the first time when Tibet was uplifted over the snowline during the early Pleistocene. As the measured subtropical radiation balance shows, it was able to trigger the Quaternary Ice Ages.